The first-known recording by David Bowie has sold at auction for nearly £39,360. It was made when Bowie (then going by his birth name, David Jones) was 16-years-old and a singer with a band called The Konrads. Omega Auctions, a music specialist auction house based in North West England, said the sale was "a bidding frenzy". The tape was expected to sell for £10,000 when it was put to the bidders on Tuesday, but in fact sold for £39,360. The recording was found earlier this year in a loft, Omega revealed, and features a song - 'I Never Dreamed' - recorded in 1963 with Bowie singing lead vocals. Promotional sketches, photographs and documents also sold for £17,130 and a poster of the band went for £6,600. Other items auctioned included a fully signed album of Led Zeppelin, which fetched £14,000, and handwritten lyrics by Jimi Hendrix from around 1970, selling for £10,800. 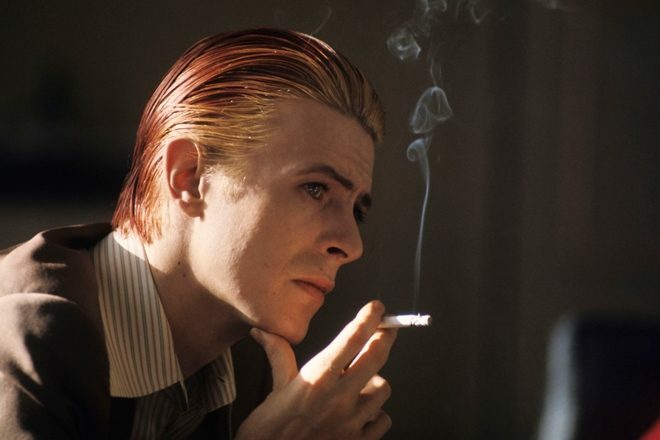 A batch of previously unreleased David Bowie records also came out at the end of June.